On the heels of "A Midwinter's Tale" episode, the witches, warlocks, mortals and familiars of Greendale received an early Winter Solstice gift as Netflix has ordered 16 more episodes of Chilling Adventures of Sabrina, which will air in two parts (parts 3 & 4). Parts 3 & 4 will begin production in 2019. Part 2 is set to premiere April 5, 2019 (previously announced). Creator and executive producer Roberto Aguirre-Sacasa quote: "Praise Satan! I'm so grateful to my partners at Warner Brothers, Netflix, Berlanti Television, and Archie Productions for supporting this darker vision of the world's most famous teen witch. 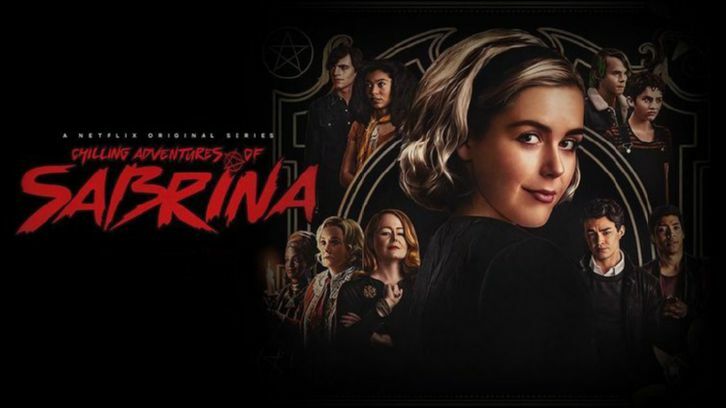 And I'm thrilled to be continuing to tell Sabrina's chilling adventures with our incredible cast and crew, led by the unstoppable Kiernan Shipka." About the series: Chilling Adventures of Sabrina imagines the origin and adventures of Sabrina the Teenage Witch as a dark coming-of-age story that traffics in horror, the occult and, of course, witchcraft. Tonally in the vein of Rosemary's Baby and The Exorcist, this adaptation finds Sabrina wrestling to reconcile her dual nature - half-witch, half-mortal - while standing against the evil forces that threaten her, her family and the daylight world humans inhabit. Cast includes: Kiernan Shipka, Miranda Otto, Lucy Davis, Ross Lynch, Michelle Gomez, Chance Perdomo, Jaz Sinclair, Richard Coyle, Tati Gabrielle, Adeline Rudolph, Abigail Cowen, Lachlan Watson and Gavin Leatherwood. Newcomers for parts 3 & 4 include Jedidiah Goodacre as Dorian Gray and Alexis Denisof as Mary Wardwell's boyfriend, Adam Masters. Roberto Aguirre-Sacasa, who also serves as chief creative officer of Archie Comics, is showrunner for the series. Aguirre-Sacasa executive produces alongside Riverdale collaborators Greg Berlanti, Sarah Schechter, Archie Comics CEO Jon Goldwater and Lee Toland Krieger. The drama hails from Warner Bros. Television-based Berlanti Productions.